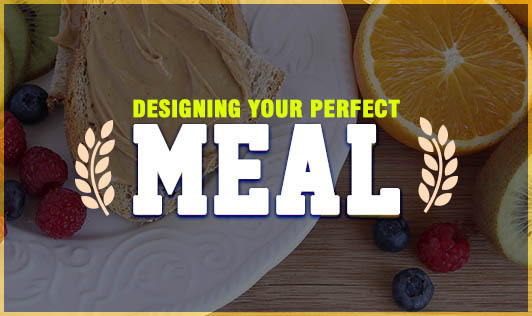 The Harvard School of Public Health and Harvard Medical School have designed a “Healthy Eating Plate” that depicts the essentials you must take into consideration while filling your plate or deciding your menu. These guidelines aid in fulfilling the daily nutritional requirements for the day. As depicted, the plate suggests that grains must be included as nearly a fourth of your diet portion, emphasizing on the consumption of whole grains, whole grain breads and pastas. Exclude refined grains as far as possible. Brown rice can be a good substitute for white rice. An equally large portion of the plate is occupied by the protein sources that must form your meal fraction. The Healthy Eating Plate encourages fish, poultry, beans, and nuts and suggests limiting meats, as regular meat consumption may increase the risk of developing cardiovascular diseases. The largest part of the plate should comprise of vegetables. The inclusion of seasonal vegetables is necessary to avail all essential vitamins and minerals and also render the plate cost effective. Potatoes are meant to be an occasional affair. A small, nonetheless important part of the plate must contain fruits as well, of various colours and types of food. Don’t forget to go seasonal every time you can. Apart from this, a portion of oil is equally essential. Including healthy oil options such as canola, olive, soya, or rice bran oil is recommended. Change your oils but never mix them. Use oils with low smoke points in salad dressings or as a minor recipe ingredient, but never for frying or roasting. Among beverages, plenty of water, coffee without sugar, one to two dairy drinks and a small glass of sugarless fruit juice is necessary. Lastly, the plate depicts a scampering "stay active" indicator at the bottom that must never be ignored. Regular exercises (involving working the top as well as the bottom half of the body) and selecting modest portion sizes help achieve good health.